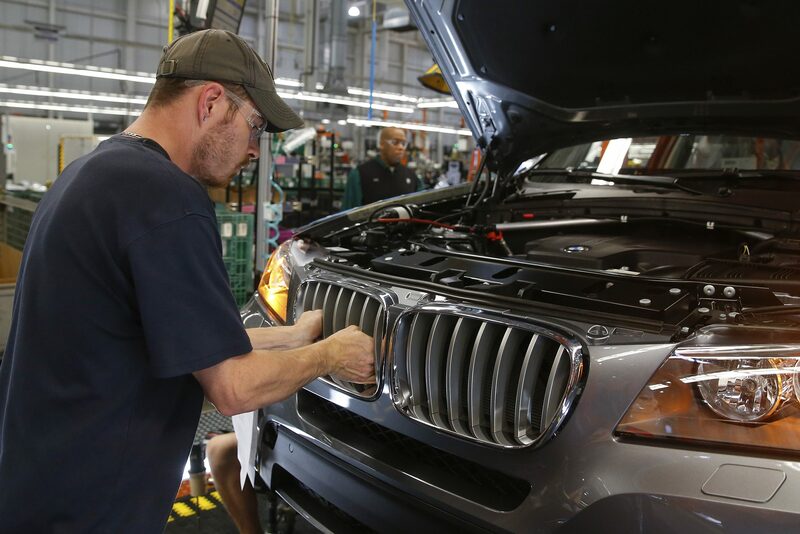 BMW and Daimler sell a surprising number of American-made vehicles in China. Were the U.S. president’s tariff-war rhetoric to become reality, carmakers could shrink stateside production. If Trump wants to keep rather than lose jobs, he should seize Beijing’s latest olive branch. China’s President Xi Jinping on April 10 promised to “considerably” lower import tariffs and raise the foreign ownership limits in the automobile sector this year in a speech he delivered at the Boao Forum for Asia in the southern province of Hainan, China. BMW and Daimler shares were up 2.4 percent and 2 percent respectively by 1145 BST. Criticising China’s existing 25 percent duty on U.S. cars, U.S. President Donald Trump tweeted on April 9 that trade in autos between the United States and China in previous years had not been “free or fair” but “stupid trade”. China on April 4 said that it may impose an additional 25 percent tariff on $50 billion of American imports including cars, aircraft and agricultural products, in response to Trump’s proposed duty on around 1,300 Chinese industrial and consumer products. The Office of the United States Trade Representative said on April 3 that this move was in response to “China’s policies that coerce American companies into transferring their technology and intellectual property to domestic Chinese enterprises”.